For all members of de Peelbergen Riding Club we organise De Peelbergen Competition. So join quickly and take part! To participate in the Peelbergen Competition you must be a member of the Riding Club de Peelbergen. This membership is from 1 January until 31 December and will be automatically stopped at the end of the year. All riders need to be a member from the KNHS, you do not need a license or startpas. Results are not registered and you don’t get any points. Wednesdays before the competition you will receive an email containing a payment request. Please pay this by return. Click on the payment link and choose how you want to pay: IDEAL, Credit Card, Bank Contact or Sofort Banking. The entry fee must be paid before the start of the competition. Every combination is allowed to ride maximum two times a day for the prices. The horse passport, with correct vaccination history, must be present at the horse at all times and the organization has the right to check it with the aid of chip control. In case of abuses, ECdP has the right to exclude the participant / horse from further participation. In case of recurrence, the participant may be refused access to Equestrian Center de Peelbergen. Via www.concours.nl you can see exactly which classes will be held each day. Unsubscribe is possible up to 24 hours before the start of the competition day(08h00), solely by sending an e-mail to wedstrijden@peelbergen.eu, after this time the entry fee remains payable to the organization. 24 hours before the start of the competition the starting order and times will be published and made available via www.concours.nl. The classification will be drawn up with a prize scale of 1 to 5. When we have less than 15 riders in a class we will ride the class in handicap with a class before or after. Official competition outfit must be worn when competing. If you won prize money you will have to make sure that the show office has the right bank details so ECdP can transfer the prize money to your bank account. When you are in the prizes, you go after the competition to the show-office. Here you enter your bank details and the prize money will be transferred by bank. For entry fees and prize money see the table below. Additional entries / extra starts on the day are only possible if the programme allows. These competitions will be held with the approval of the KNHS. In order to be eligible for the final of De Peelbergen Competition the rider must qualify during one of the De Peelbergen Competition qualifier competitions. The 5 best riders from each class qualify for the final. The organisation reserves the right to allow competitors to compete at personal invitation in the final. 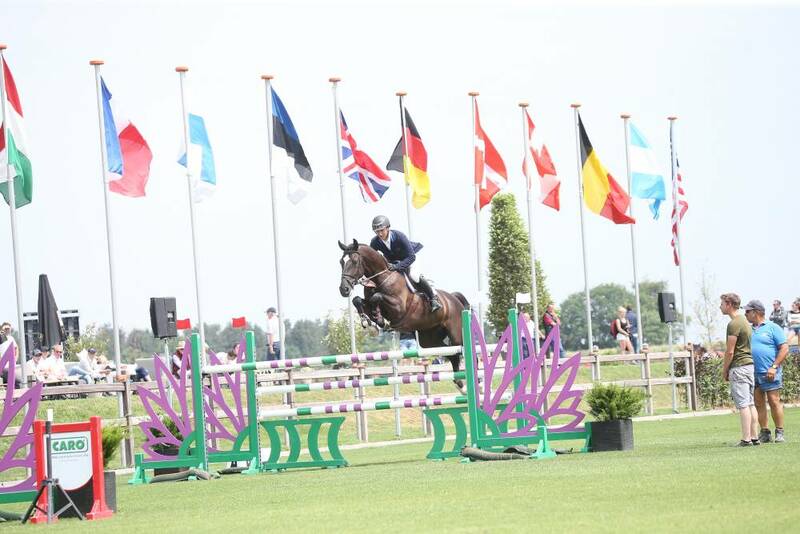 The classes are the following: 1.00m – 1.10m – 1.20m – 1.30m – 1.35m. A rider may participate in the final of De Peelbergen Competition with no more than 6 horses, and no more than 2 horses per class. If during one of the qualifiers a rider has already qualified with two horses in a particular class then the number 6 of that particular class will be invited to the final. The final of De Peelbergen Competition will include a mounted prize-giving ceremony for the 5 best combinations in each class.